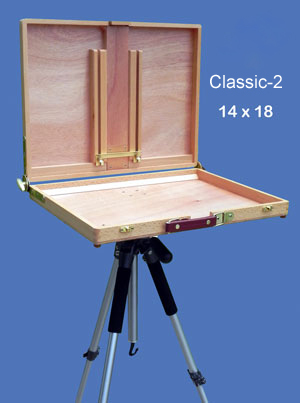 The Classic slimline models are a new design from our EASyL range of pochade boxes, ideal for those who wish to travel across states or overseas for painting. Unlike other EASyL pochade boxes that have a wet panel carrier on the back, the Classic has a slimline format which is less bulky and more easy-to-use. 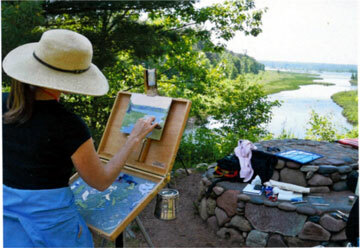 The large palette size comes in a compact box which is easy to pack in your luggage for traveling. 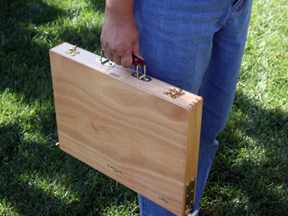 The Classic box consists of a spring-loaded panel holder to hold the working panel from the top, and a supporting means to support the panel from the bottom. On the Classic-2, the supporting plate from the bottom can be adjusted by sliding up or down to accommodate different panel sizes. To mount a panel on the Classic-2, simply adjust the panel support plate to the ideal level for the bottom of the working panel, place the working panel on the panel support plate, then pull the spring-loaded panel holder from the top until it holds the top of the working panel. It's that easy. The panel support plate can be replaced with a wider one (sold separately) to support stretched canvas. The Classic can hold a panel size anywhere from 4" height up to the max height shown in the chart above. 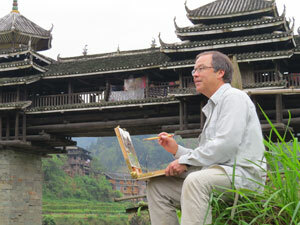 There is no horizontal width limitation. 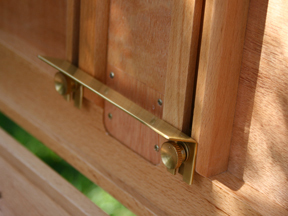 The working panel can be tilted easily using the adjusting knobs on either side of the pivot between the lid and the bottom. 1- Heavy duty professional tripod. TP-6777 (with two quick-release plates and a carry bag). you can purchase the box without a tripod. 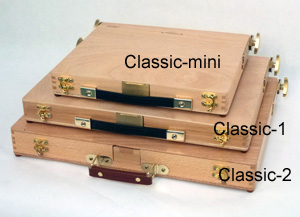 10 x 12 Classic-Mini Box only. 12 x 16 Classic-1 Box only. 14 x 18 Classic-2 Box only. The Classic is slim and lightweight with a box thickness of only 2". It easily fits into most luggage. The standard 5/16" adjustable panel support plate can be adjusted up or down using two thumbscrews on the front. 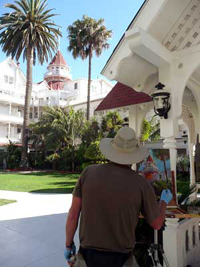 An optional 3/4" panel support plate is available for stretched canvas. Optional hooks for hanging the brush washer. It can be mounted on any Classic box. 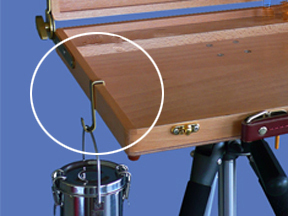 The Classic-2 holds a panel with its spring-loaded holder at the top and the support plate at the bottom. The Classic-1 can hold a panel up to 18" in height, and the Classic-2 can hold a panel up to 20" in height, with no width limit. 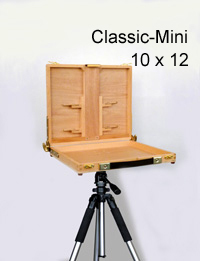 In an extreme situation, the Classic can mount a panel or stretched canvas larger than 16" x 20" by using a bungee cord. 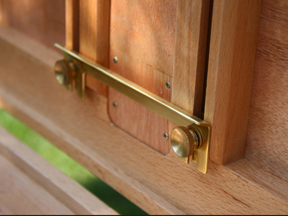 The side hinges are patented and feature a large knob that adjusts the tilt of the working panel in seconds. This is a unique feature of all EASyL pochade boxes that can't be found anywhere else in the market. 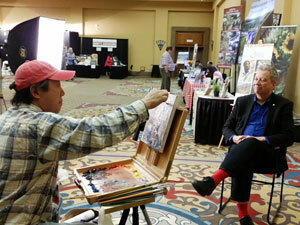 The Easy-L easel and accompanying accessories are everything they are claimed to be. Innovative design does away with wing-nuts, and sticking drawers, delayed set-up time, and pieces that break, freeze, or fall off. 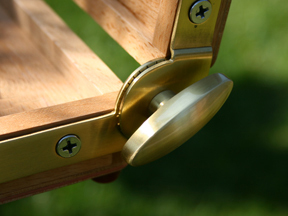 Durable materials of light, varnished wood and brass fittings take hard use. 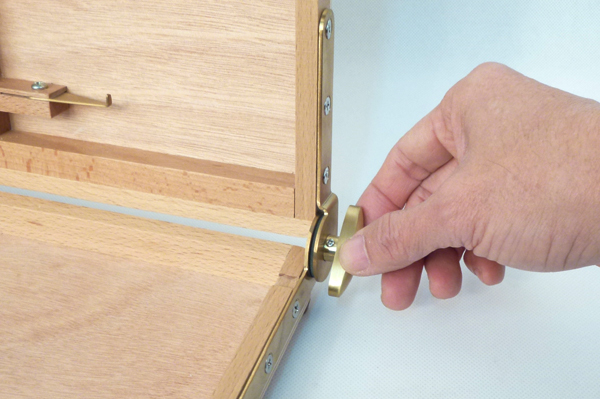 The pochade boxes are lightweight enough to transport, stow, and ship easily. 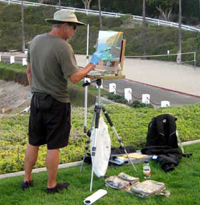 The tripod design is wind-resistant, precision-locking, and adjusts to uneven terrain. 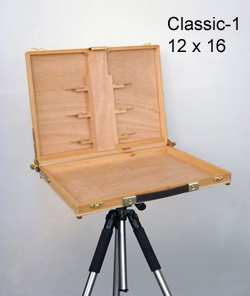 Out of the four umbrellas I have purchased, only the Artwork Essentials umbrella works, due to its easy any-angle attachment to boxes and tables, and the structure of its perfectly-designed clamp. 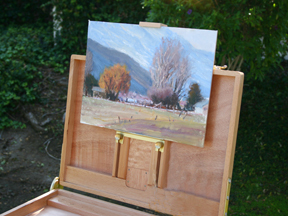 The Easy-L easel (I have purchased four, in various sizes) will be the one you will keep. 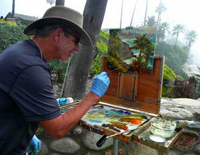 Rick Delanty - Delanty Fine Art, Inc.